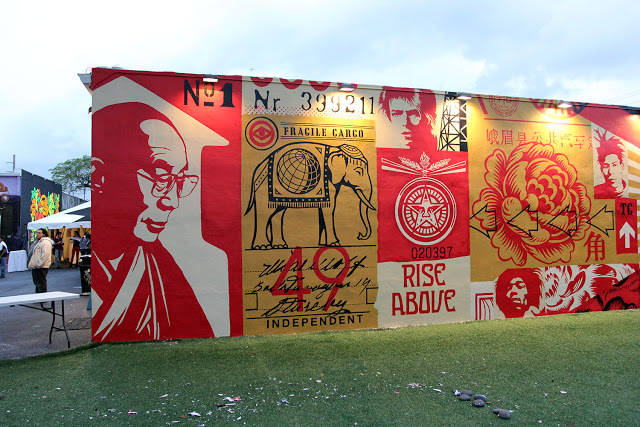 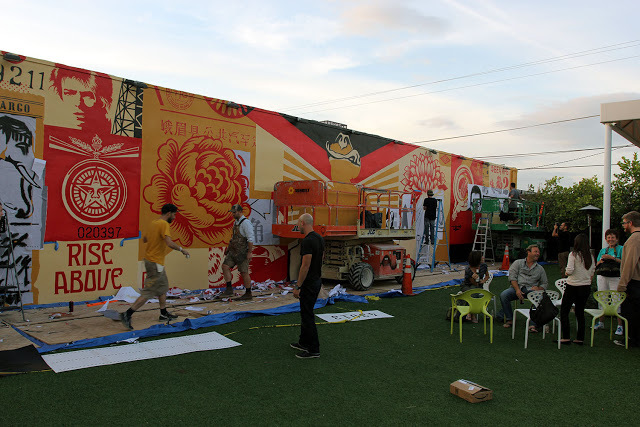 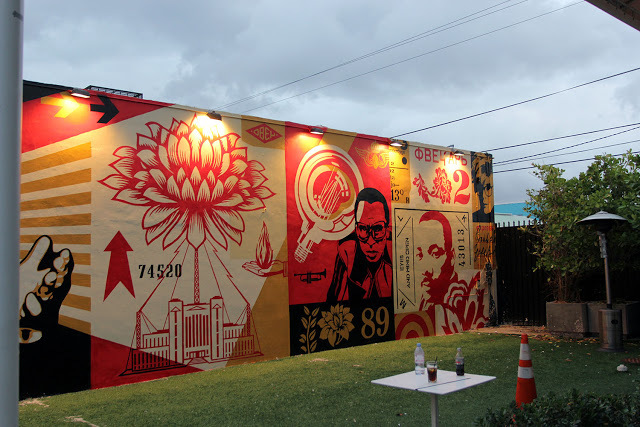 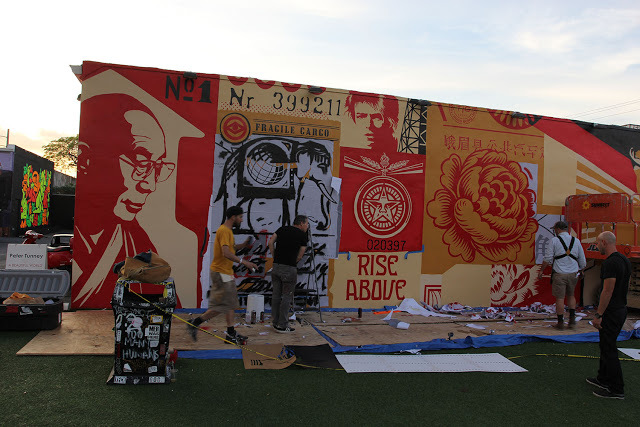 While you discovered some progress shots yesterday, Shepard Fairey and his crew have now completed this new mural in Miami, USA for Art Basel 2012. 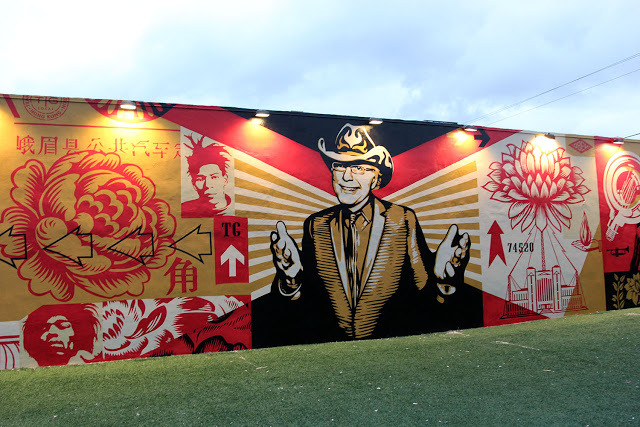 Featuring his signature imagery, this mural is also a tribute to the recently deceased Tony Goldman. 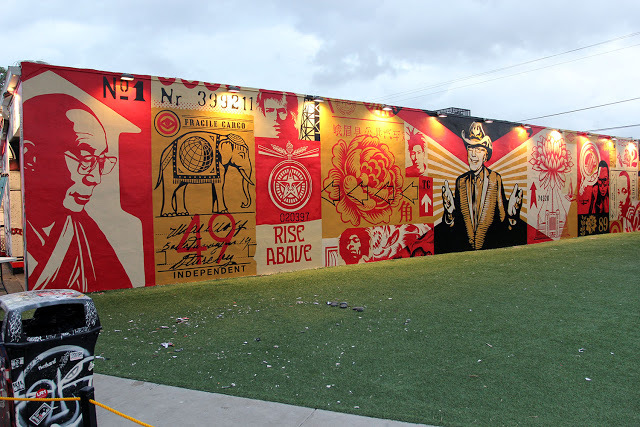 If you are in the neighbourhood, this one can be seen at the Wynwood Walls.